At Tetra putting pen to paper comes first when brainstorming ideas. 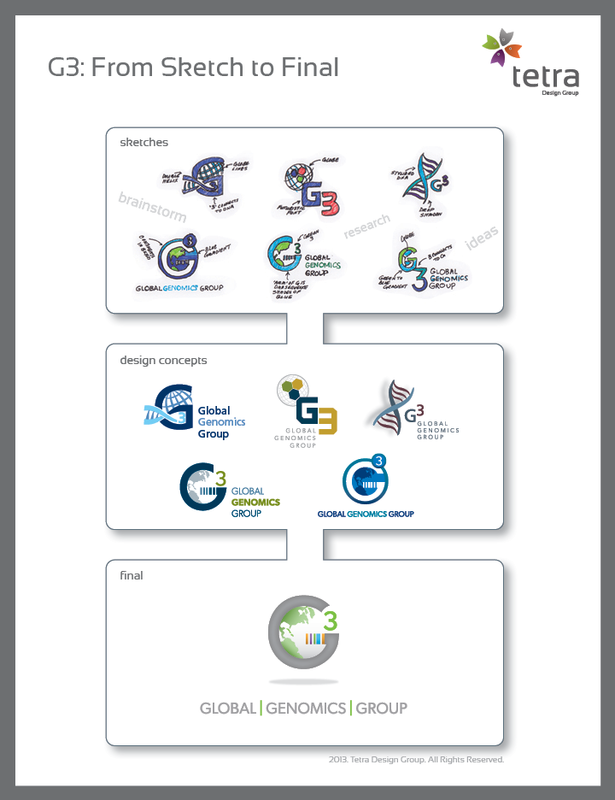 It is only fitting that initial thoughts for the Global Genomics Group (G3) logo began in a sketch book. We believe sketching allows us to quickly evaluate and shape the direction ideas should take before picking up a mouse. Once promising ideas are established, we execute those ideas digitally. An internal review process narrows down the concepts that best fit the needs of the client and those concepts are presented. With input from the client we finalize the chosen concept into a fully developed design. See the G3 logo evolution below! The beautiful UP24 fitness bands from Jawbone are terrific tools for techies and health enthusiasts. They may also be at the heart of the connected home by enabling the "internet of me". For example, since the device can track sleep patterns, it knows when to automatically trigger a sleep alarm, turn on the lights, start the coffee maker and unlock the doors! The device comes equipped with Bluetooth so it wirelessly syncs with smartphones and captures data in real time. Beauty and brains all built into one device! 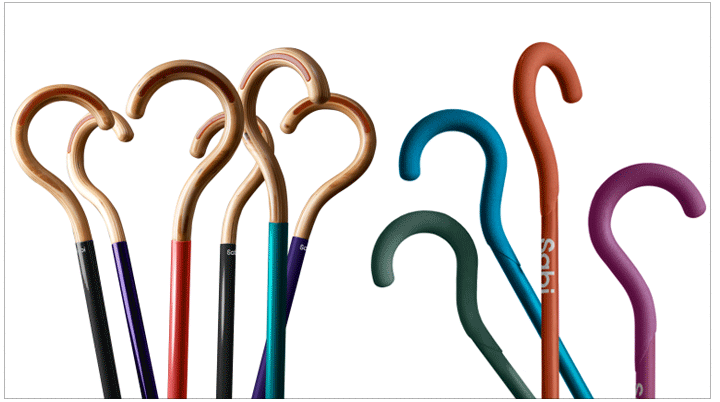 Sabi founder Assad Wand and designer Yves Béhar have teamed up to create a stylish and cheerful line of walking canes. Although the basic form has existed since prehistoric times, this line of walking canes, called ROAM, are anything but traditional. The modern, bright colors and lightweight construction give these canes a definite "cool" and youthful appeal. Perfect for a walk in the park! essence of “magnets” which are the core of their technology. AFTER: Tetra Design Group redesigned the Ellipse logomark to be comprised of three rings representingthe interconnectivity that exists between the company, innovative technology and patients.In addition, where the rings meet in the middle evokes a magnetic field. Business cards, stationary, a PowerPoint template and product datasheets were also created. 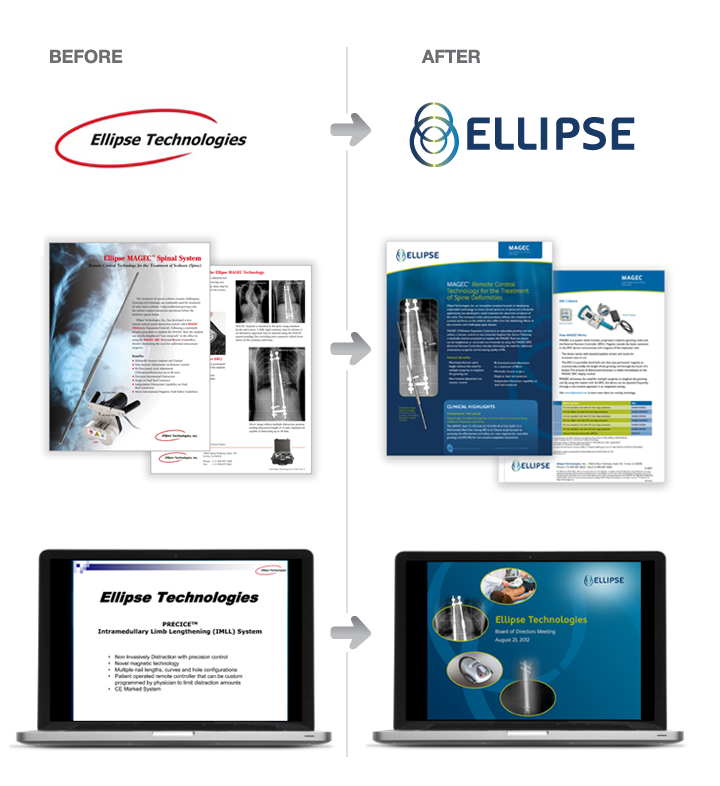 As a result, the brand feels more professional and polished, the logomark creates awareness of their core technology and the visual elements enhance understanding of the procedure. 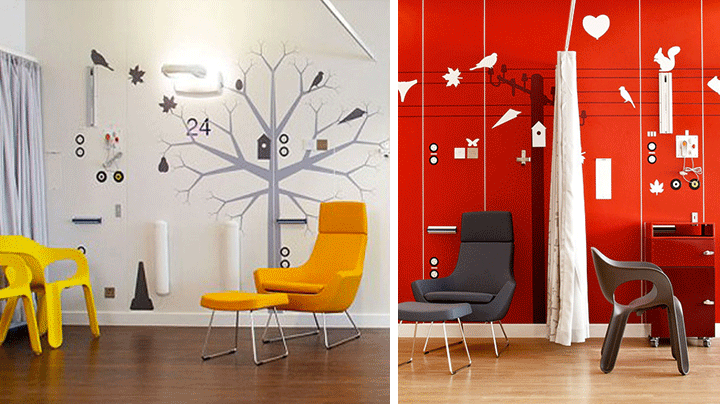 When the Queen Elizabeth Hospital in Birmingham, England decided to redo their Teenage Cancer Ward, they took a decidedly unique approach: designing the ward as a boutique hotel. Patients going through treatment stay in a different room each time. Options include a 1960's pop lounge, a NYC loft and a Regency drawing room. Since research highlights the link between a positive environment and an increase in recovery levels, these colorful and creative environments are sure to lift anyone's spirits. Do you remember as a kid singing a song about the human body? It went a little something like this, "The knee bone connected to the thigh bone, The thigh bone connected to the back bone...". This was one way to learn about the bones in the human body. Today, kids have a million tools to learn about the human body. One of the coolest ones we've come across is The Human Body app by TinyBop. This playful app features six interactive, animated layers of the body. Each layer teaches basic human anatomy about the skeletal, muscular, nervous, circulatory, respiratory, and digestive systems. 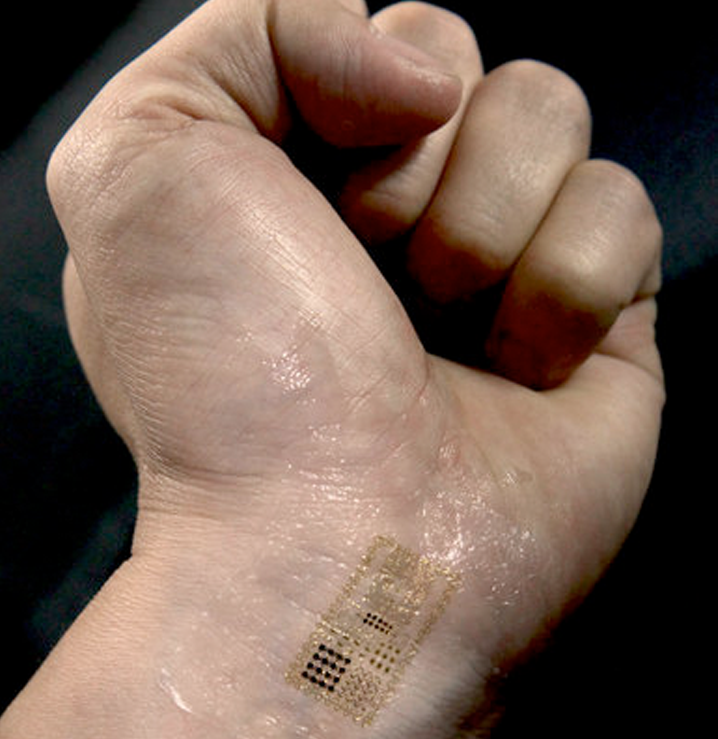 Researcher John Rogers, a materials scientist at the University of Illinois, has woven technological building blocks into incredible skin-wearable circuits. They stick on your skin with a stamp. They can stretch and flex with the natural movements of your body, lasting about two weeks until they flake off from natural exfoliation. “Our aim is to enable hardware that integrates much more naturally with the body,” Rogers says. Crazier still, Roger’s “20-year vision” is to create devices that “actively augment health in vital organs.” One project his team is working on is an "artificial epicardium," which could wrap around the heart’s surface to monitor heartbeat and prevent arrhythmias. Another is a set of “brain monitoring sheets” for epileptics. 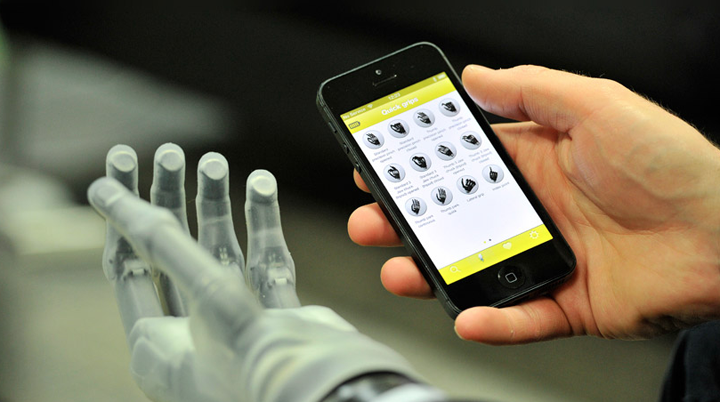 Touch Bionics has developed a "next generation" prosthetic hand that can be controlled using a mobile app. The i-limb™ ultra revolution prosthetic features a powered rotating thumb, 24 grip options and extra sensitive electrodes, all controlled by a single tap of a smartphone screen. Users have unparalleled dexterity which enables them to perform daily tasks such as typing and grabbing small objects. It's as easy as tying your shoes. The idea of cancer treatment is scary for adults, imagine how frightening it must be for children. This innovative campaign developed for A.C. Camargo Cancer Center in São Paulo by JWT and Warner Brothers is a perfect example where design can turn a scary experience into something more positive and educational. The chemo bags, covered in colorful packaging, become "Superformulas" which feature action hero insignia from Superman, Batman, Wonder Woman and the Green Lantern. In addition, the action hero motif is carried throughout the cancer ward and in comic book style literature for children where the action heroes take the "Superformula" to heal cancer-like ailments. Everything works to take out the fear and starkness of getting chemotherapy for children by turning it into a more empowering experience through the use of cool visuals, environment and story telling. 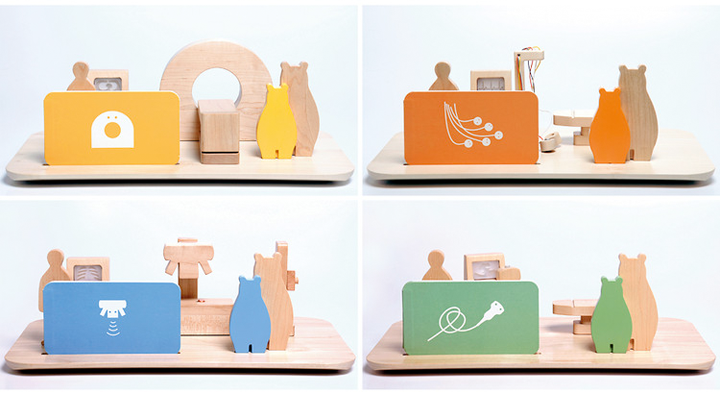 Hikaru Imamura, a recent Eindhoven grad, developed toys to inform kids of what to expect during their hospital visit. His toys represent four common pieces of medical equipment--CT scanner, X-ray machine, echocardiograph, and electrocardiograph--in simple, wooden forms, and each one has a light or sound, so children can imagine how these strange machines work. (The patient is depicted as part of a family of bears.) What a great idea to attract children’s interest with toys that they can play with and ease fears of scary procedures at the same time!